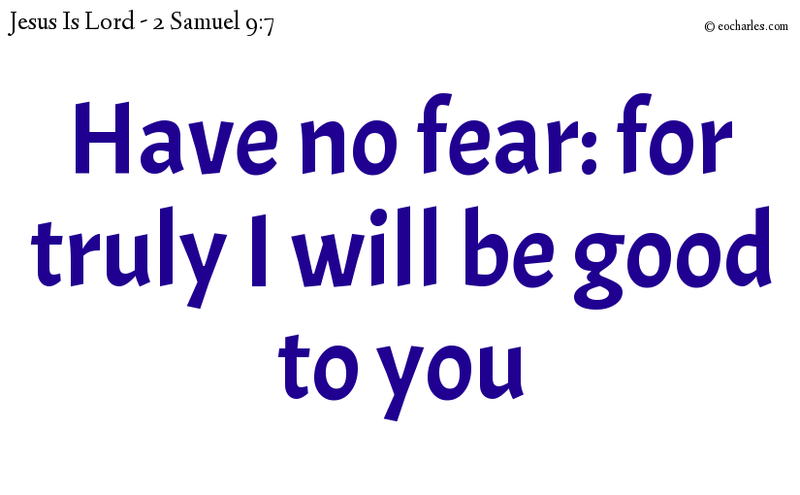 And David said to him, Have no fear: for truly I will be good to you, because of your father Jonathan, and I will give back to you all the land which was Saul’s; and you will have a place at my table at all times. 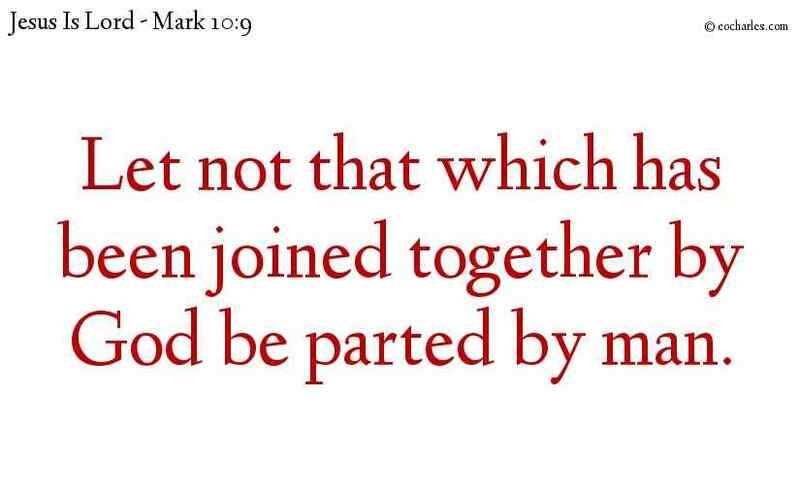 Let not that which has been joined together by God be parted by man. 1)Eph 5:23 For the husband is the head of the wife, as Christ is the head of the church, being himself the saviour of the body. Eph 5:24 And as the church is under Christ’s authority, so let wives be under the rule of their husbands in all things. Eph 5:27 And might take it for himself, a church full of glory, not having one mark or fold or any such thing; but that it might be holy and complete. Eph 5:30 Because we are parts of his body. 1. ↑ Eph 5:23 For the husband is the head of the wife, as Christ is the head of the church, being himself the saviour of the body. 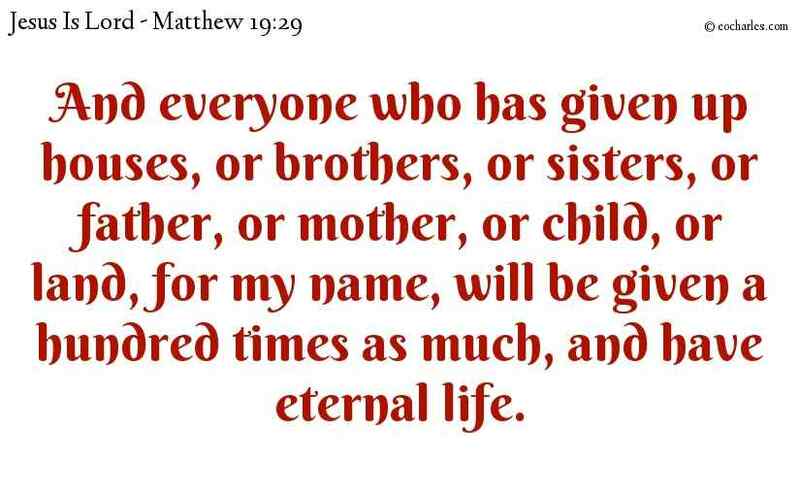 And everyone who has given up houses, or brothers, or sisters, or father, or mother, or child, or land, for my name, will be given a hundred times as much, and have eternal life. 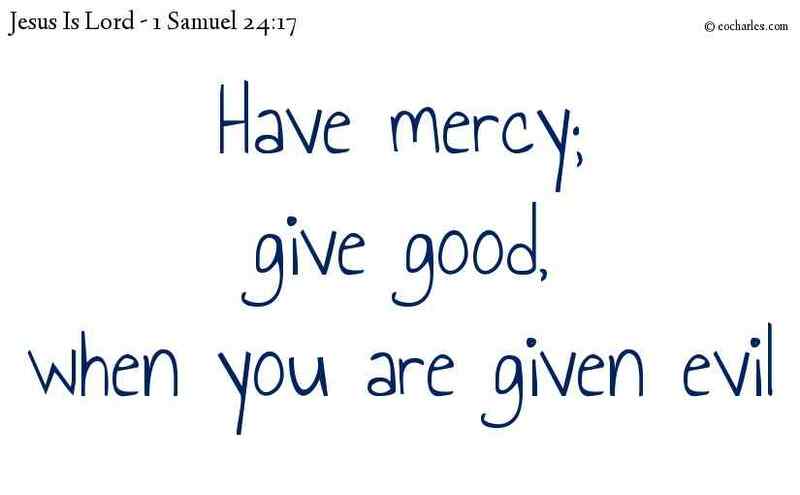 Do what is right, love mercy and do not be proud. He has made clear to you, O man, what is good; and what is desired from you by the Lord; only doing what is right, and loving mercy, and walking without pride before your God. 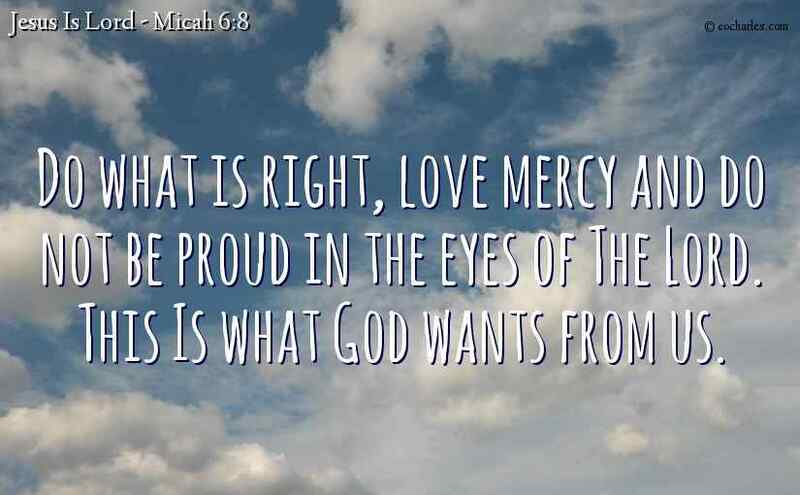 Continue reading Do what is right, love mercy and do not be proud. 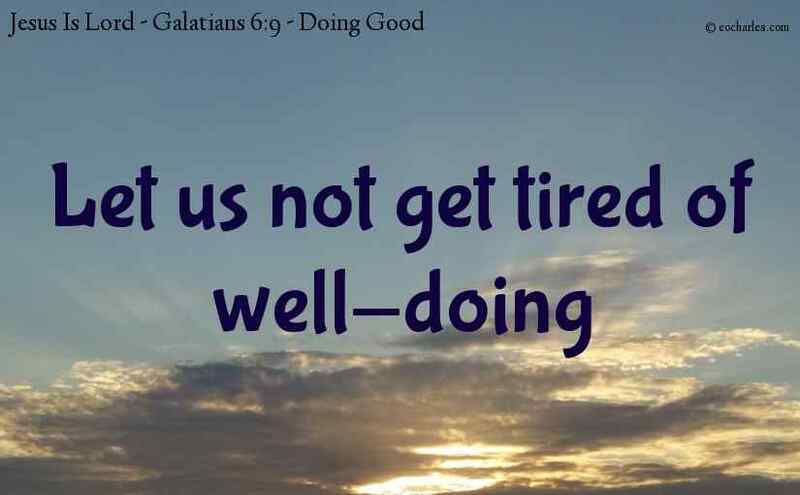 And let us not get tired of well-doing; for at the right time we will get in the grain, if we do not give way to weariness. 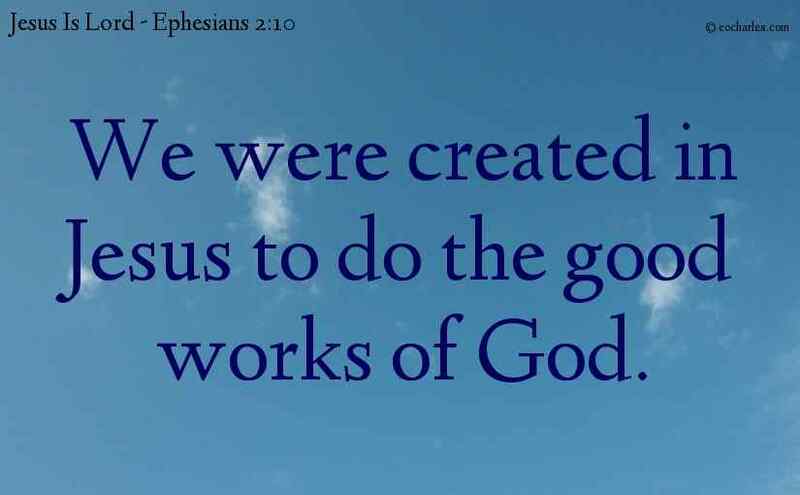 We were created in Jesus to do the good works of God. 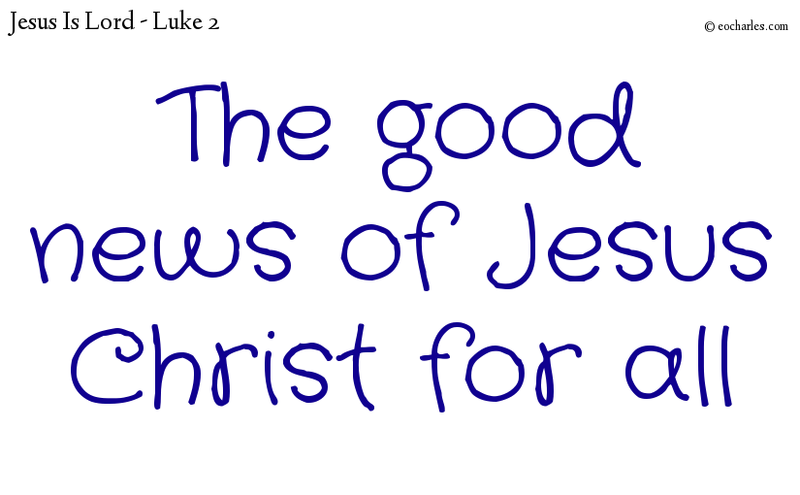 All things, even every evil thing, is turned to good by God 4)Rom 8:28 And we are conscious that all things are working together for good to those who have love for God, and have been marked out by his purpose. 4. ↑ Rom 8:28 And we are conscious that all things are working together for good to those who have love for God, and have been marked out by his purpose.